The Kardecian Spiritist Federation of Florida (KSFF), founded in 1985 and located in Miami, is a non-profit organization with the sole purpose of representing and unifying the Spiritist Movement in Florida. 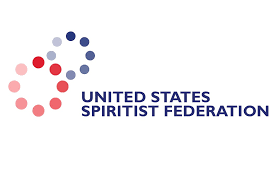 The Spiritist Federation of Florida recognizes that in order to promote a stronger and better aligned spiritist movement in the state of Florida, all involved parties must become unified under the very same ideal, and also become united as brothers and sisters. At the time of Kardecian Spiritist Federation of Florida’s foundation, the Spiritist Movement in the United States was still in its infancy. Today, we have many affiliated centers, with one common goal, which is the dissemination of Spiritism – united and wholesome. On this note, and on this same thought, our goal is to promote informative Seminars, workshops, and also to participate in book fairs, radio and television programs in order to facilitate the dissemination of the Spiritist Doctrine. Our main goal is to continue to work on assisting many other Spiritist Groups still in their early structuring stages and also continue to support, instruct and guide the already formed and ongoing/growing existing centers. Get to know how to become an Affiliated.